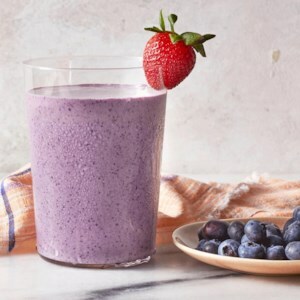 Find healthy, delicious, quick and easy lunch recipes, from the food and nutrition experts at EatingWell. 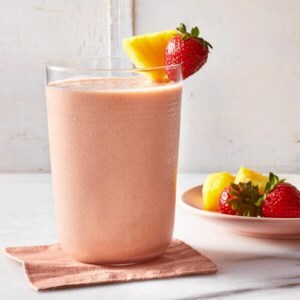 Packable snacks and lunches to keep you healthy, wealthy and thin. Our healthy sandwich recipes, salad recipes and dip recipes make a light lunch that's perfect to pack and go. 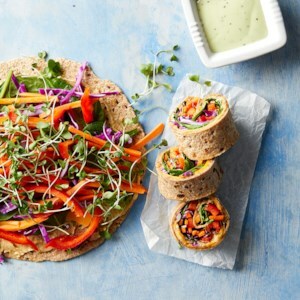 Bring a healthy lunch to the office with one of these quick lunch recipes that's easy to make ahead. 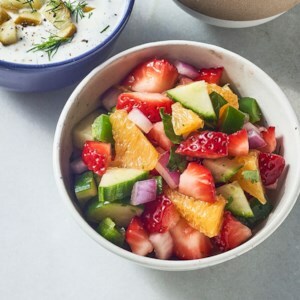 Cucumbers, tomato, parsley and feta are the basics of an Israeli salad, which is as common at breakfast as at any other meal. 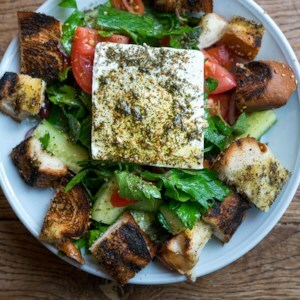 Here, fluffy challah croutons make the dish a sort of mash-up of the Lebanese bread salad fattoush, made with pita, and a Tuscan panzanella. It's just the kind of cross-pollination modern Israeli food is known for. 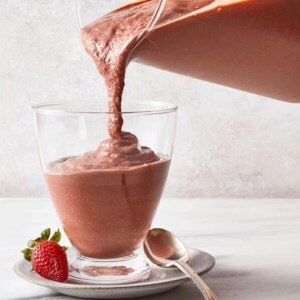 And for you, it's a healthy meal that's ready in 25 minutes! 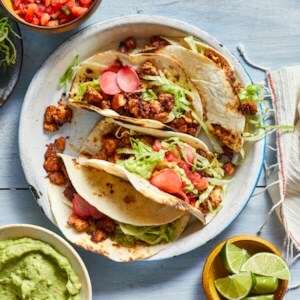 Take taco night in a new direction with these healthy vegan tacos. We've swapped crumbled tofu for the ground beef, without sacrificing any of the savory seasonings you expect in a taco. You can also use the filling in burritos, bowls, taco salads and to top nachos. Who needs a tortilla when a lettuce leaf will do just fine? 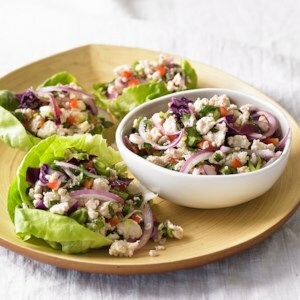 These low-carb Thai-inspired lettuce cups are full of cooked chicken, crunchy cabbage and snap peas, fresh mint and cilantro, and zesty scallions and red onion. 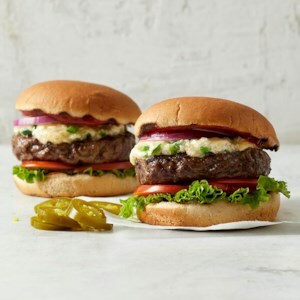 A limey-hot sauce blend works well to bring all of the flavors together. 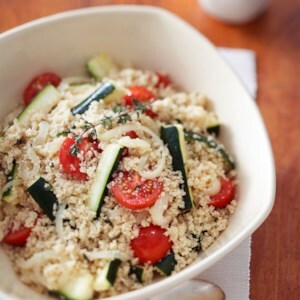 Enjoy the benefits of good-for-you whole-wheat couscous with this quick and easy grain side dish. Fresh cherry tomatoes, crisp-tender zucchini, and earthy thyme are a perfect accompaniment to the delightful, nutty taste of the couscous. 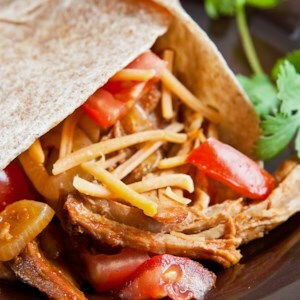 This easy tortilla dinner-for-six is ready in just 15 minutes, thanks to our Pulled Pork Master Recipe (see associated recipe). 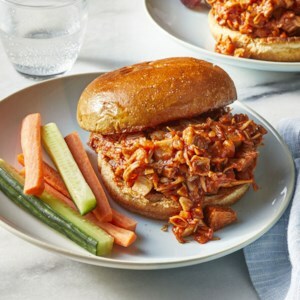 Meaty jackfruit makes these vegan sloppy Joes rich and filling. Jackfruit, a starchy tropical fruit, is mildly nutty and sweet, a blank canvas for a warm and spicy sauce like the one for this quick meat-free sandwich. Jackfruit, a tropical fruit with a dense, chewy texture, is a blank canvas that takes on flavors well. 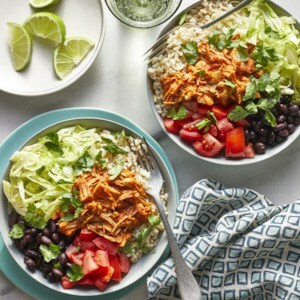 In these vegan burrito bowls, the jackfruit is simmered in a warm and spicy chile sauce that's so good you'll never know you're eating a plant-based protein instead of pork or beef. 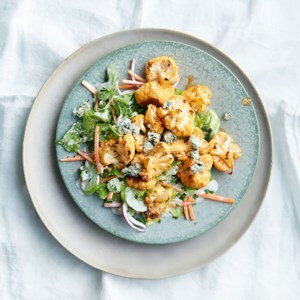 This roasted Buffalo cauliflower salad tastes indulgent but is absolutely virtuous. The salad is packed with all the Buffalo wing essentials--carrots, celery, a creamy dressing and blue cheese. And cauliflower, with all its nooks and crannies, is even better at soaking up Buffalo sauce than chicken wings! 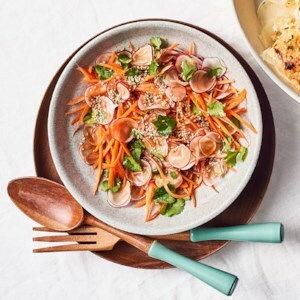 Enjoy this fresh-tasting and healthy slaw with Asian flavors as an accompaniment to grilled chicken and fish. If you have a mandoline-style vegetable slicer, use it to slice the radishes easily, but you can also slice them by hand. Using an assortment of colored radishes makes an interesting presentation. 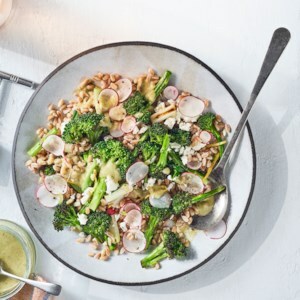 Like broccoli, Brussels and other crucifers, radishes boast potent plant compounds credited with anti-cancer and anti-inflammatory properties. 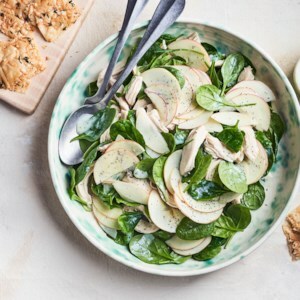 The easy sesame dressing is great on all sorts of salads and veggies, such as spinach, broccoli or asparagus. 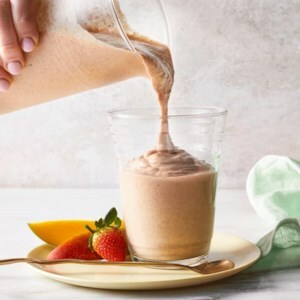 Swap out store-bought for this tangy homemade buttermilk and poppy seed dressing to take this healthy salad recipe to the next level. 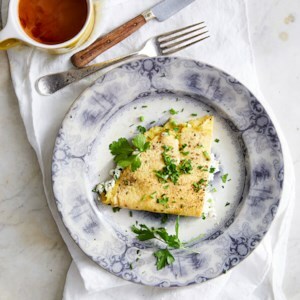 For an even more impressive meal, make your own crunchy cheese crisps in a snap, using phyllo dough, for a delicious accompaniment to this dinner salad. 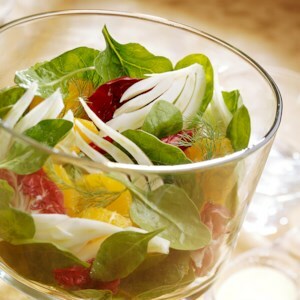 Make extra dressing to keep on hand for other salads throughout the week.